It’s all happening, and fast. In about a half second, we’ve gone from Vintage Eve to the end of the whites. The blast of heat that kick started everything out of nowhere was followed by steady, sustained warmth that has kept the grapes coming and has prompted the unprecedented beginning of red fruit before the end of February. 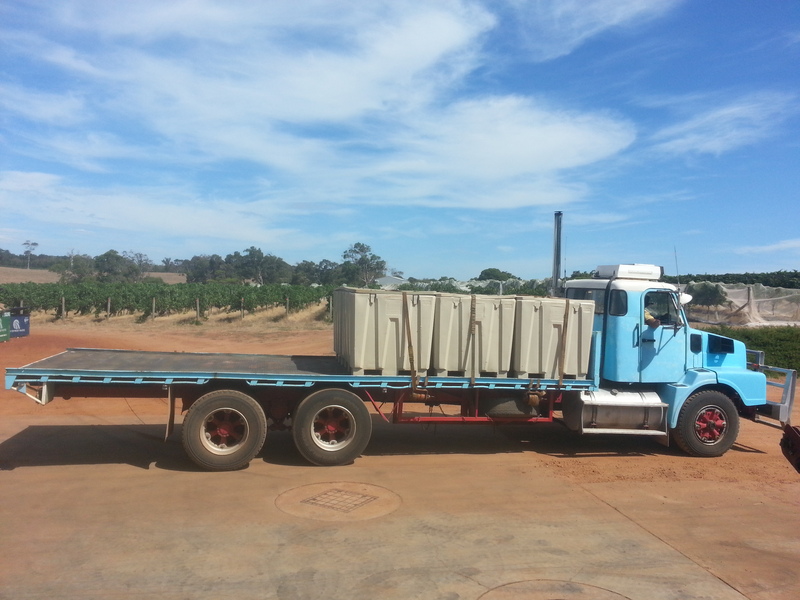 Tomorrow, we pick shiraz. The whirlwind is whirwinding. We are fully underway with processing and pressing. 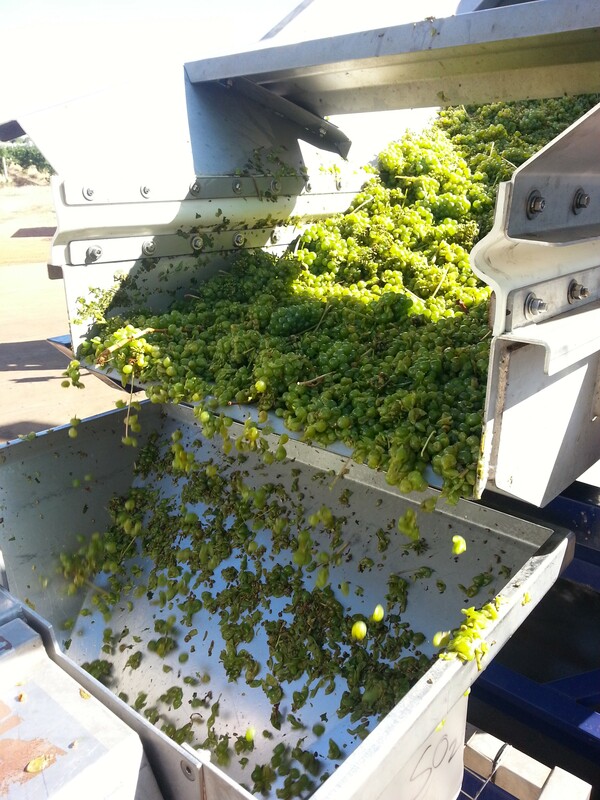 Some whole cluster lots go straight into the press while others go through the destemmer on their way to the press. Once we’ve filled our tanks, we tweak them and nudge them along with fining agents and acid and sulphur adjustments and then inoculate them or put them to barrel for wild fermentation. We’ve got a healthy number of wild lots, which the winemakers at Juniper feel suits many of their whites best. But we’ve also still had to keep a hand in our finished wines. Our first day of fruit also coincided with our first day of bottling. 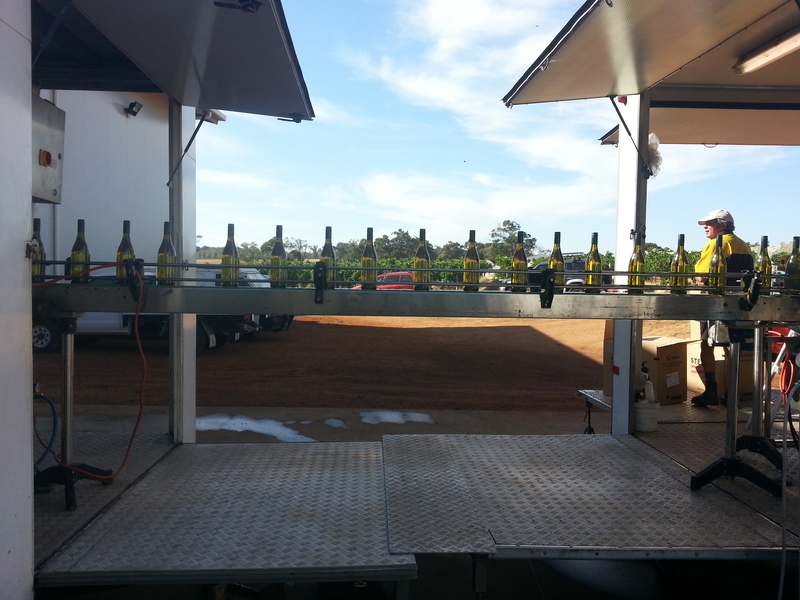 The bottling line ran parallel to the crush pad for a couple of days – madness, just madness – and we’re still filtering and tankering out the last of the wines to be bottled off-site. Just in time to start filling up our tanks again. And at 4 vintages, I’ve finally earned a turn on the late shift. Starting as early as midday and as late as 4 pm and working until . . . the press is done and the fruit is off the floor and the final lab work done. Back in Tiny Winery Land as I am, there’s more work to go around than people to do it and no one can leave until we’ve gotten to everything. Sometimes you run a little, but I find a little pressure is good at harvest time – what matters is managing the pressure. When the schedule is stable, I find I like the late shift for all the reasons I’d been promised. It’s just me and the assistant winemaker doing our own things, working together when it makes sense, taking charge of our own jobs, staying out of the blistering sun of the high noon, sitting down for dinner with friends who stop by after they’re done with their own long days, and sometimes watching the sunrise over a Cooper’s on the catwalks. And sometimes shivering and tripping over the hose inside the dark, dark press and thinking “but everyone else is asleep” while racking a tank at 3 am. 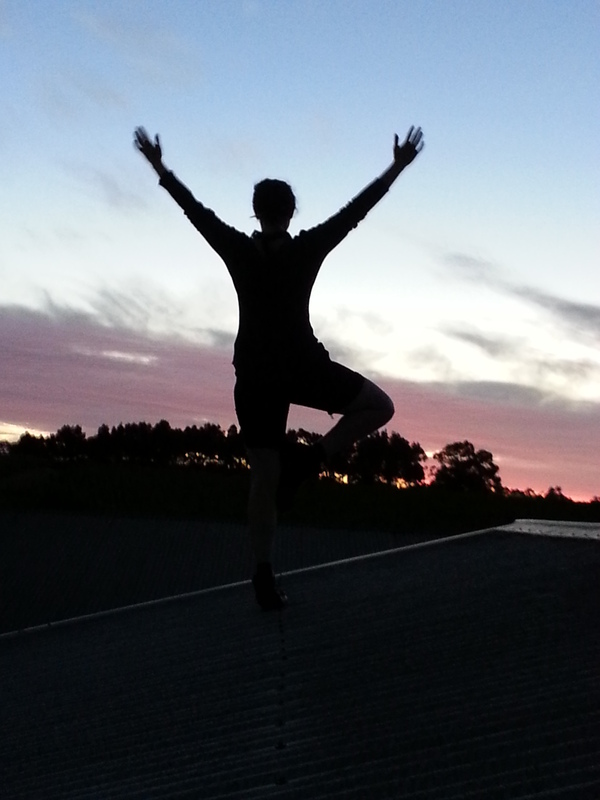 And sometimes watching the sky catch fire while smashing a steak pie on the roof. Reds, take me, I’m yours.